There are some impressive benefits to making your daily commute on two wheels instead of four, like the fact motorcycles are said to be the most stress-free commuter vehicle of all. But it’s worth bearing in mind there can be some drawbacks too. 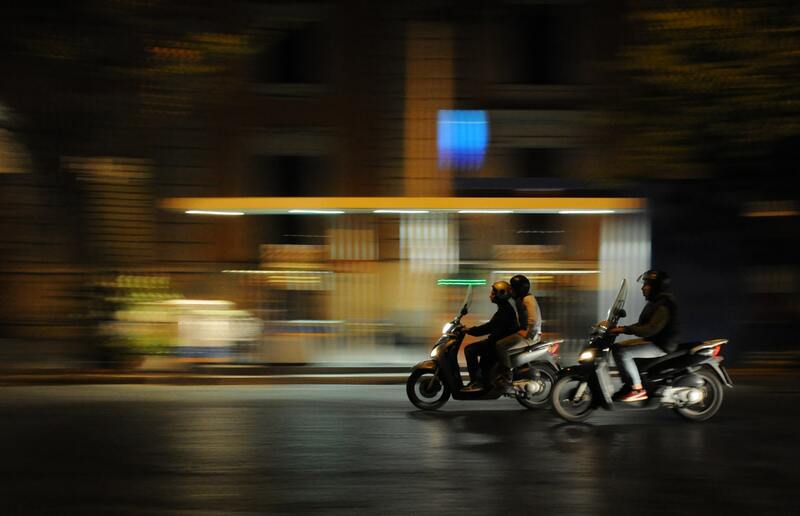 If you’re considering commuting to work on a moped, here are a few pros and cons to consider. Small in size and easy to handle, mopeds are perfect for filtering through gridlocked rush hour traffic. You only have to sit in your car in a traffic jam a few times, watching mopeds and motorbikes speeding past you, to think twice about sticking to less nimble forms of transport. In some areas, mopeds can even take advantage of bus lanes – so if you’re not confident in nipping through stationary cars, you can simply pass through without any worries. Council-owned pay-and-display parking spots and permit zones can both be used free of charge by moped and scooter riders. Even some private multi-storey car parks offer free motorcycle parking areas, and you’ll often find that there are quiet corners and off-street spots where it’s fine to park a moped for the day. As well as being cheaper to buy than a car, mopeds and scooters are lower cost in just about every aspect of everyday use. A year’s road tax will set you back less than £20, rather than hundreds, and the maximum possible MOT fee is around £25 cheaper than the MOT fee for a car or van. Moped insurance is also, typically, much lower cost than car insurance, though exact prices will obviously vary depending on the value of the vehicle you choose and your own driving history. Whereas a cheap runaround car of little value might cost you a few hundred pounds to insure per year, 50 and 125cc mopeds can sometimes be insured from as little as £60 a year. If you’re worried about your carbon footprint, another benefit to opting for a moped is that they’re much more eco-friendly than cars. The average scooter or moped produces about 72% less CO2 than the average car, and their efficiency is as good as your bank balance as it is for the planet. There are a couple of obvious downsides to commuting by moped, and many people would agree that your exposure to the elements is the biggest one. When there’s heavy rain and freezing wind outside, you may not be feeling so excited about riding to work without the protection of a car, bus or train around you. If you only use your moped for commuting, storage probably won’t be a consideration. But if you’d like a vehicle that can multitask and take care of your shopping too, the limited storage space is worth bearing in mind. While some models will come with under seat storage, along with front and rear racks, the amount you can carry pales in comparison to having the boot and back seat of a car. Mopeds and scooters are great fun for whizzing around town on a fine day, but if you live a long way from your workplace, take the time to consider the comfort and practicality of the moped you might choose. 50cc models are limited to speeds of around 35mph, while 125ccs can generally cruise comfortably at about 60mph. These speeds are more than enough for short journeys and inner city traffic standstills, but if you’re used to catching multiple trains or driving for an hour to get to work each day, it may be that a moped isn’t quite fast enough or cosy enough for the job. Are you someone who is regularly commuting to work on a moped? Tell us your experiences in the comments below.